Two Evansville Schnucks locations are alerting customers of an unmarked inclusion of pecans in their German Chocolate Cake which could be deadly to those with severe nut allergies. The cakes were sold from the bakeries located at the newest Schnucks location in Lawndale Shopping Center at the corner of Washington Avenue and Green River Road, and the Newburgh location on Bell Oaks Drive. 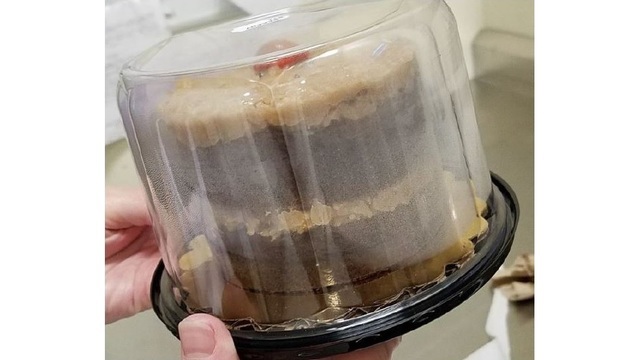 The cakes in question are labeled, “Schnucks Bakery Deluxe Petite Cake Chocolate Iced Yellow," according to a press release from the grocery store chain, and contain pecans that are not listed on the cake's ingredient label. They are packaged in small, domed plastic cake containers, weigh approximately one pound, and feature a sell by date of 8.12 - 8/14. If you, or someone you know, as purchased one of these cakes, the company says you can return to the cake to the store you purchased it from for a full refund.